Would UAW Wage Concessions Have Been Good for Louisville? 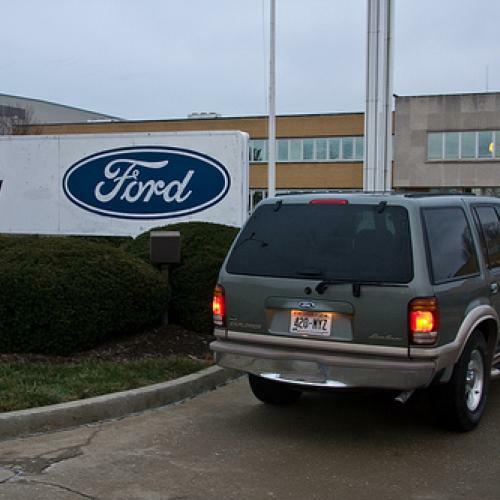 Just after Ford Motor Company announced third-quarter profits of nearly $1 billion, its UAW-represented workers rejected a package of concessions including a wage freeze for newly hired workers and a no-strike pledge when the current contract expires in 2011. The concessions would have put Ford’s labor costs on par with those that GM and Chrysler obtained earlier this year. Those concessions, in turn, brought the companies’ wages and benefits down to the levels of the (non-union) Japanese manufacturers with plants here. They came on the heels of bigger wage concessions for newly hired workers, which UAW workers accepted several years ago. Of the 62 most auto-dependent metropolitan areas, more than 40--mostly located in Michigan, Ohio, Indiana, New York, and parts of Kentucky and Alabama--depend heavily on the Detroit Three and their suppliers. People who live or work in those places have a big stake in wage concessions. Would the people of metropolitan Louisville, home to two Ford plants, have been better off if Ford workers had approved the concessions? Would the people of other metro areas that depend on the Detroit Three have been better off if GM and Chrysler wages hadn’t been lowered? Lower wages in auto plants in a place like Louisville mean less demand for locally produced services such as restaurant meals and haircuts. That means fewer people are employed in producing those services, or their work hours get cut, or their wages go down, or some combination of the three. If nothing else happens in the metropolitan area’s economy to offset these effects, the result is a smaller, lower-wage region. These problems are amplified if the reduction in auto plant wages enables other local employers (auto suppliers, service businesses--any company that sets its wages in relation to autoworker wages) to lower the wages they pay to their own workers, further educing local demand. New hiring and new employers could offset the impact of lower wages. And some might argue that lower wages in the metropolitan area could attract higher wage high-tech and professional service employers. Very high-wage workers buy a lot of the local services that low-wage workers provide, such as restaurant meals. But this scenario is mostly wishful thinking. The wages of manufacturing and local service workers don’t have much impact on where high-tech firms locate. Although some places with low manufacturing and local service wages have become high tech hubs (think Raleigh-Durham), high tech companies didn’t move to those places because of low wages. So, wage cuts for autoworkers lead to lower wages elsewhere in the metro economies of places that depend heavily on the auto industry. That’s a bad thing for those metro areas. But was there a better alternative? If GM and Chrysler wages and benefits hadn’t been forced down to Toyota and Honda levels, would GM and Chrysler have survived at all? Would the metro areas that depend on them have suffered even more? GM and Chrysler didn’t need lower wages and benefits to survive. (They did need lower retiree health costs, which they got. But the impact of lower retiree costs is spread more broadly throughout the country than that of lower wages and benefits.) Wage and benefit costs are less than 10 percent of the cost of a car. If the Detroit Three can raise productivity faster than Honda and Toyota, they can compensate for the wage gap. If they can improve the quality of their cars, they can get a higher price for them, making the wage gap even less important. Now that GM and Chrysler have cut pay and benefits, Ford should be able to make up for any labor cost difference using similar strategies. 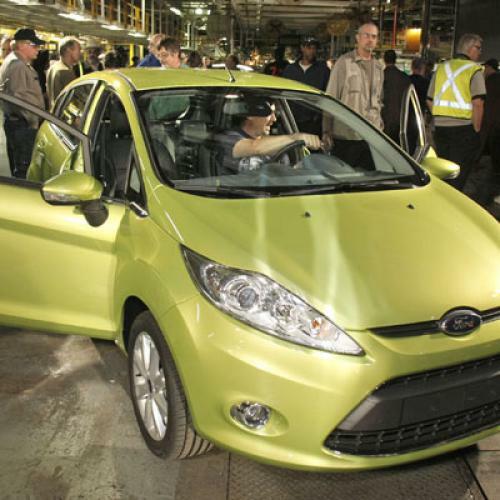 (To its credit, Ford has already been ahead of its Detroit rivals in doing these things.) As I’ve argued before, productivity, quality, and innovation, not wages, should have been the main focus of auto industry restructuring all along. The bottom line is that cutting unionized autoworkers’ pay and benefits serves no useful economic purpose. It’s not necessary for the automakers. It’s harmful not only to autoworkers but to workers and small businesses throughout auto country.